The cars is driving on a winter road in a heavy snow blizzard at night. 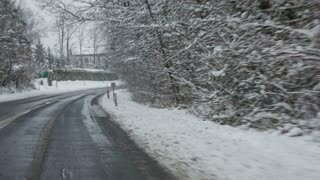 Dangerous winter road. Driving on a snow storm. Cars on winter ice road. Winter weather scene. Driving in winter weather. The edge of the road full of snow after snow blizzard and still snowing. CLOSE UP: Traffic drives down the slippery road during a dangerous blizzard. 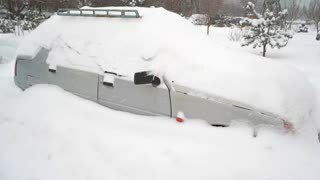 Passenger car after heavy snowfall. 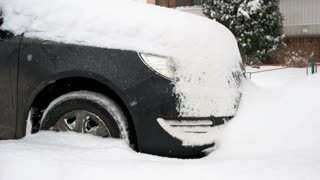 Grey car in deep snow. Blizzard adverse driving conditions.